The Tragically Hip performed their farewell concert at the Rogers K-Rock Centre in the band’s hometown of Kingston, ON on August 20.
hennemusic streamed the show live via Canada’s national public broadcaster, the CBC, which interrupted its coverage of the 2016 Olympics to present “The Tragically Hip: A National Celebration,” a concert event featuring the last show of the group’s farewell tour following news in May that frontman Gord Downie had been diagnosed with terminal brain cancer. "We’re officially into unchartered waters,” said Downie. “We never do third ones." Downie gave a few shout outs during the show to Prime Minister Justin Trudeau, who was on hand to witness what may be the final send-off to a Canadian institution. 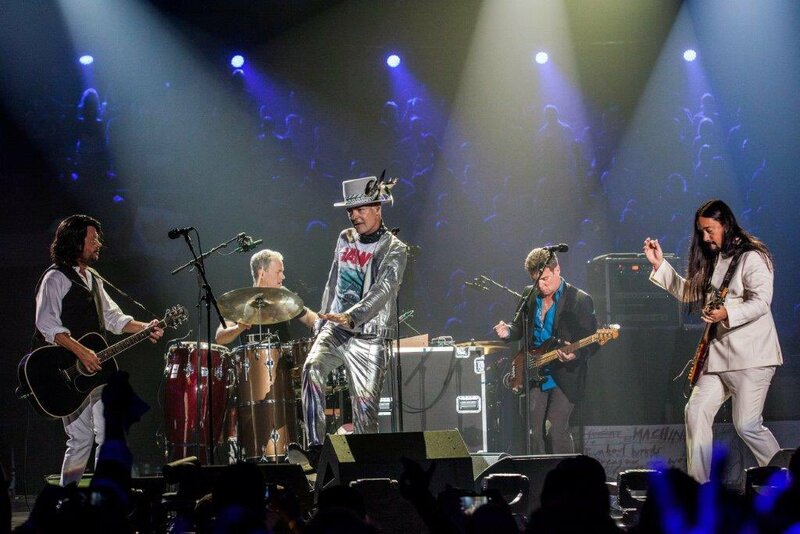 “Gord and The Tragically Hip are an inevitable and essential part of what we are and who we are as a country,” Trudeau told the CBC before the band hit the stage. In addition to the 6,700 fans inside the arena, close to 25,000 gathered in Kingston’s Market Square to watch the concert on a big screen, while people across Canada accessed the broadcast via tv, radio and online, as well as at viewing parties in clubs and venues around the country. Calling it “an unprecedented event,” the CBC reports preliminary audience figures show the event drew 11.7 million Canadians – or about one-third of the country’s population – with the television broadcast averaging 4 million viewers. 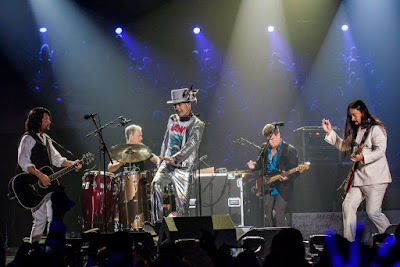 Expected to be the group’s final appearance, the last show of a 15-date Canadian tour was held in the arena in the band’s Ontario hometown on a street named The Tragically Hip Way.